June 20th The Longest Day. 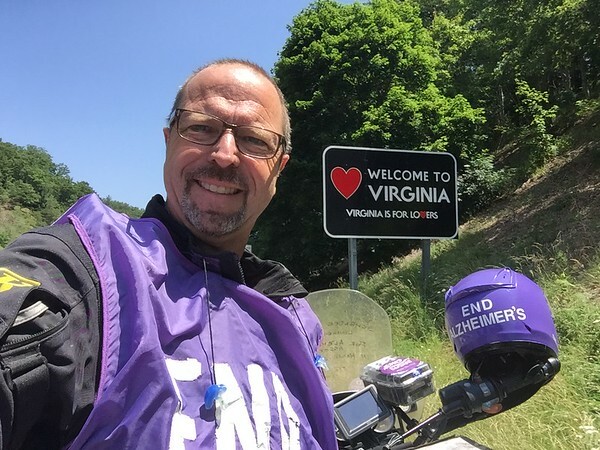 Riding for Alzheimer’s !! Reaching Goals!! It's the summer solstice or the "longest day". Of course this is the double meaning. 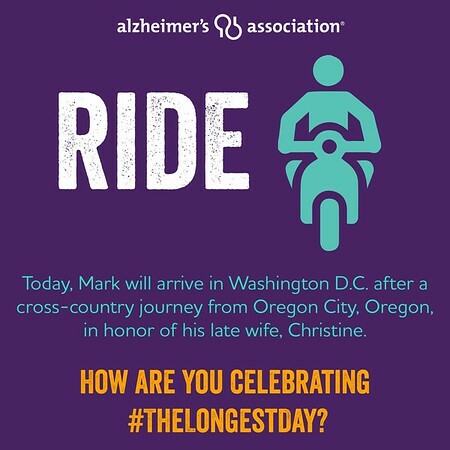 I did this ride to raise awareness and funds for the Alzheimer's Association and in honor of my late Wife Chris and all the caregivers and families facing this disease. With lots of helmet time, I thought about all the people I know that are facing this disease. I reached out to some during my ride with a quick message of encouragement, and to let them know I am thinking about them. 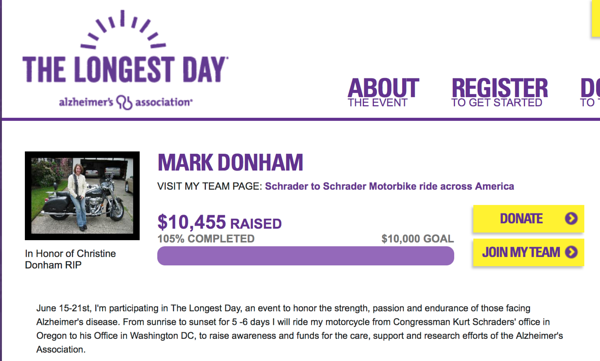 This is my final day that will have me riding into DC. Excited for this day!! Nice slightly cool morning and clear roads!! One of the things that I have been aware of is elevation. Out west I started at sea level, the up across Oregon and Idaho and Wyoming was the high points at 6-7,000 then down into 600-700 feet in Iowa, Illinois, Indiana, Kentucky. 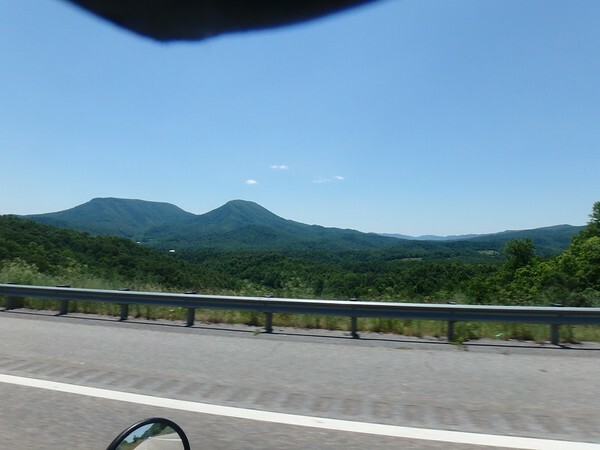 The west Virginia got up into 2,000 feet…. I get a Text message from a friend…. 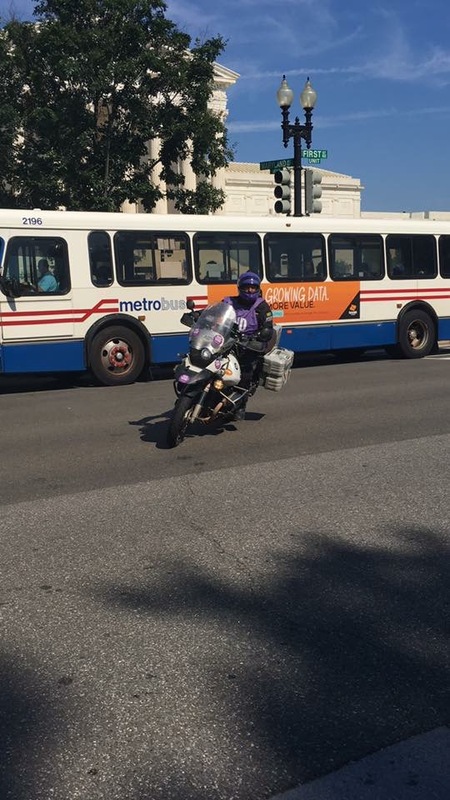 Hey Mark, thinking Ill ride down to meet you in DC. What time are you arriving? This community of motorcycle riders is awesome. 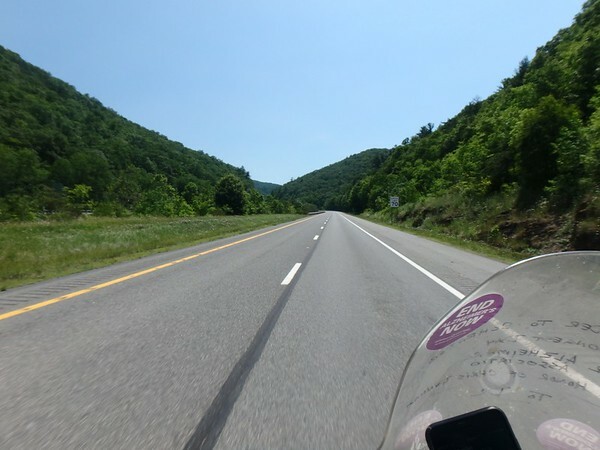 How many places will someone, text you and then ride 180 + Miles to meet you, then turn around and ride home. 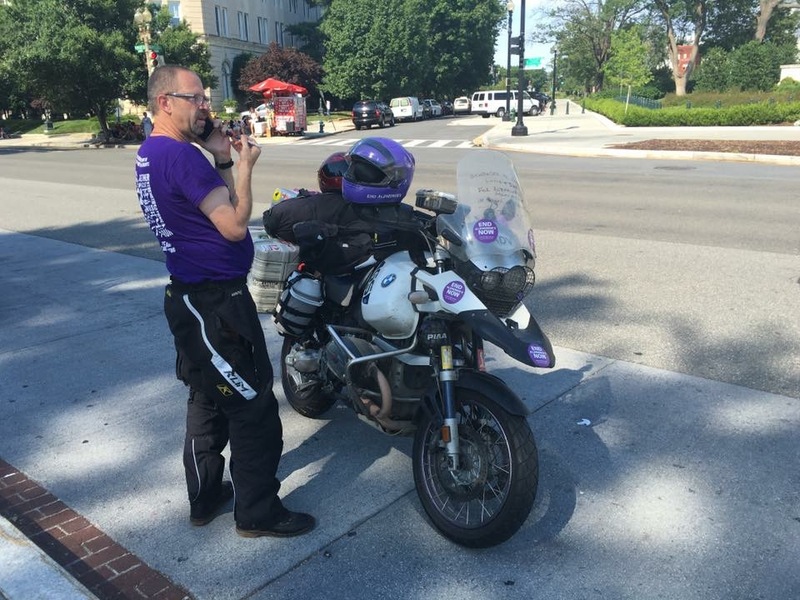 Wanting to connect and support the ride!! Who is it….. Wait and see. 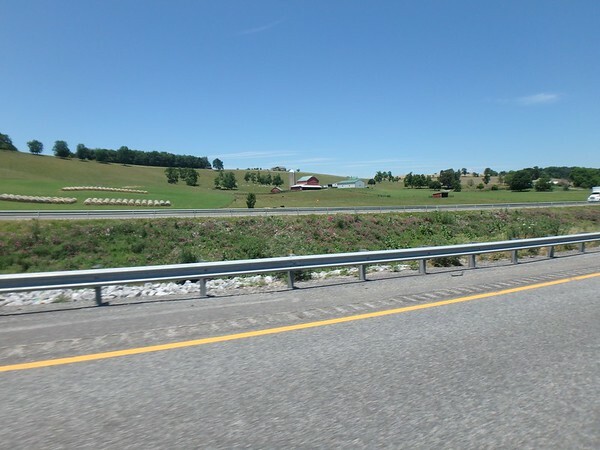 Just 100 Miles from DC, still in wide open farm lands. 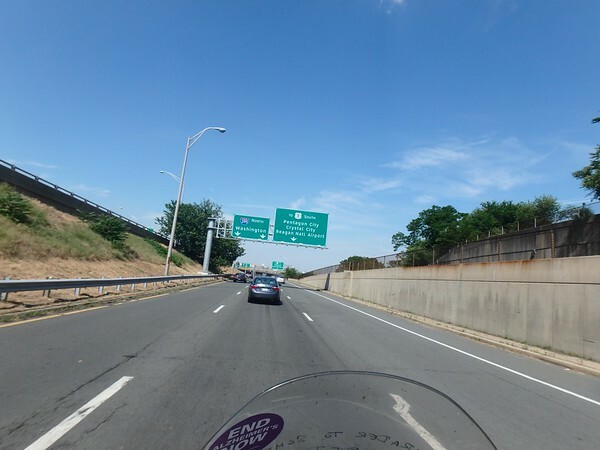 It's a hot day in the 90's as I roll onto toward DC. Hey Hey first view of the Monuments!! 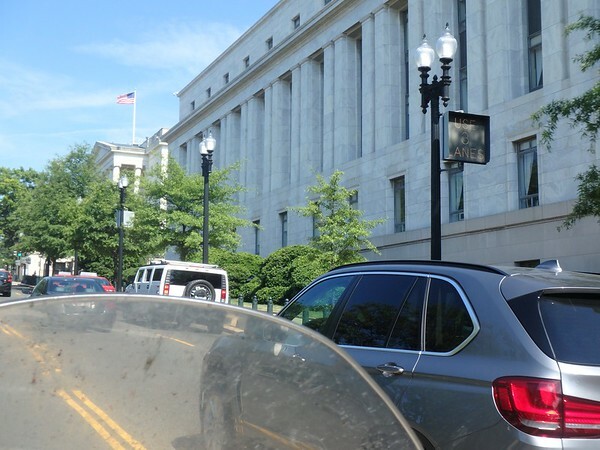 Riding past the Rayburn building where I will be meeting Congressman Kurt Schrader!! Will thank him for his support and encourage him to keep helping to increase funding, work with his fellow lawmakers to make this a national priority. And look who's waiting for me! MoBill I last saw Bill while we were riding in India back in 2013! He rides 180+ miles from his home in NJ to greeting and support me! He is wearing a Longest Day shirt!! Amazing ! Thanks MoBill!!! 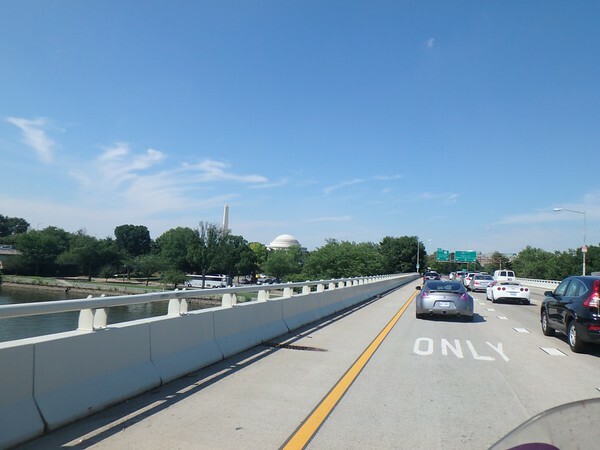 We ride up on the curb to have a place in the shade near the Lincoln Memorial. And take a break!! WOW… Feels great to make it to my destination, with purpose and to be greeted by an old friend!! Feeling the Love! And I made my goals as well!! THANK YOU all for the support for this cause and all the donations!! WOW!! Hopefully a few more will roll in as the day progresses! 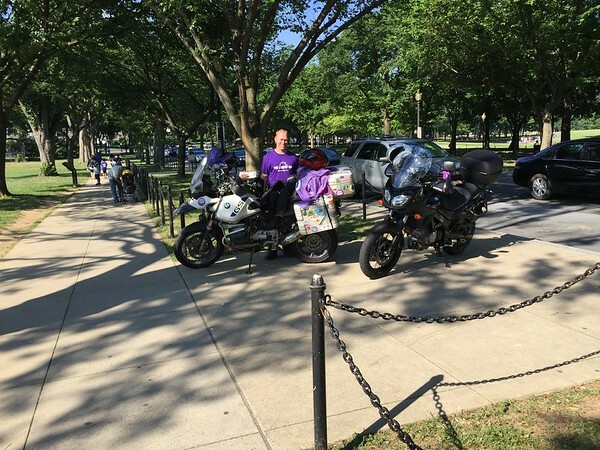 I am staying in DC with another ADVrider family! So great to put into a place, see riding friends, sharing a meal, and catching up! 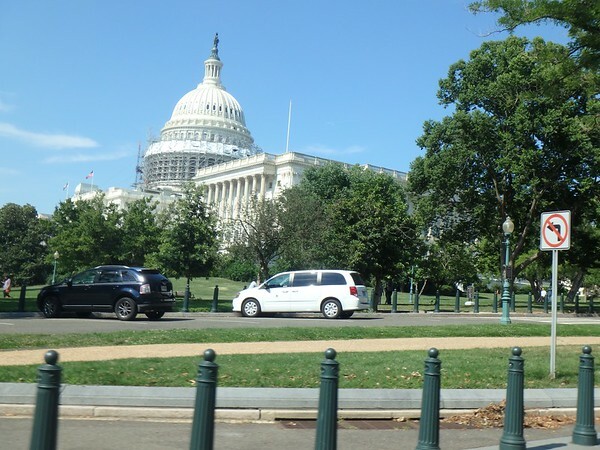 It's Tuesday Morning, and I am finishing my ride report, few other posts and then off to Capitol hill for my meetings! Also have a TV interview set up for later.